﻿ Tigar Ultra High Performance. Характеристики шины, отзывы, сравнение цен на шины в магазинах. Чтобы сделать отзыв более объективным мы предлагаем сравнить Вам шины Tigar Ultra High Performance с любыми из тех, на которых Вы ездили. Можно заполнить не все поля, но чем больше Вы заполните, тем больше автолюбителей скажут Вам спасибо. Ultra High Performance 0 / 0 R0 4936 руб. Ultra High Performance 165 / 65 R15 81 H 2731 руб. Москва ВилсПлюс +7 (495) 661-4651 2731 руб. — купить скидки! Ultra High Performance 175 / 65 R15 84 H 2762 руб. Москва ВилсПлюс +7 (495) 661-4651 2762 руб. — купить скидки! Ultra High Performance 185 / 65 R15 88 H 2584 руб. Москва ВилсПлюс +7 (495) 661-4651 2584 руб. — купить скидки! Ultra High Performance 195 / 55 R15 85 H 3138 руб. Москва ВилсПлюс +7 (495) 661-4651 3138 руб. — купить скидки! Ultra High Performance 195 / 60 R15 88 H 2952 руб. Москва ВилсПлюс +7 (495) 661-4651 2952 руб. — купить скидки! Ultra High Performance 195 / 65 R15 95 H 2818 руб. Москва ВилсПлюс +7 (495) 661-4651 2818 руб. — купить скидки! Ultra High Performance 205 / 55 R16 94 V 3123 руб. Москва ВилсПлюс +7 (495) 661-4651 3123 руб. — купить скидки! Ultra High Performance 215 / 45 R16 90 V 3664 руб. Москва ВилсПлюс +7 (495) 661-4651 3664 руб. — купить скидки! Ultra High Performance 225 / 55 R16 95 V 4286 руб. Москва ВилсПлюс +7 (495) 661-4651 4286 руб. — купить скидки! Ultra High Performance 205 / 40 R17 84 W 3821 руб. Ultra High Performance 205 / 40 R17 84 W +	3950 руб. Ultra High Performance 205 / 45 R17 3673 руб. Ultra High Performance 205 / 45 R17 88 W 3814 руб. Ultra High Performance 205 / 45 R17 88 W +	3950 руб. Ultra High Performance 205 / 50 R17 93 W 4343 руб. Москва ВилсПлюс +7 (495) 661-4651 4259 руб. — купить скидки! Ultra High Performance 205 / 50 R17 93 W +	4140 руб. Ultra High Performance 205 / 55 R17 95 W 4318 руб. Ultra High Performance 205 / 55 R17 95 W +	4500 руб. Ultra High Performance 215 / 40 R17 3784 руб. Ultra High Performance 215 / 40 R17 87 W 3927 руб. Ultra High Performance 215 / 45 R17 91 W 4247 руб. Ultra High Performance 215 / 45 R17 91 W +	4217 руб. Ultra High Performance 215 / 50 R17 4256 руб. Ultra High Performance 215 / 50 R17 95 W 4407 руб. Москва ВилсПлюс +7 (495) 661-4651 4319 руб. — купить скидки! Ultra High Performance 215 / 50 R17 95 W +	4437 руб. Ultra High Performance 215 / 55 R17 4286 руб. Ultra High Performance 215 / 55 R17 98 W 4520 руб. Ultra High Performance 215 / 55 R17 98 W +	4557 руб. Ultra High Performance 215 / 60 R17 4649 руб. Ultra High Performance 215 / 60 R17 96 H 4957 руб. Ultra High Performance 225 / 45 R17 4039 руб. Ultra High Performance 225 / 45 R17 94 Y 4129 руб. Москва ВилсПлюс +7 (495) 661-4651 4076 руб. — купить скидки! Ultra High Performance 225 / 45 R17 94 Y +	4187 руб. Ultra High Performance 225 / 50 R17 4408 руб. Ultra High Performance 225 / 50 R17 98 W 4660 руб. Москва ВилсПлюс +7 (495) 661-4651 4581 руб. — купить скидки! 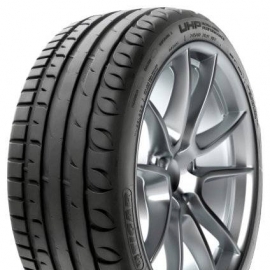 Ultra High Performance 225 / 50 R17 98 W +	4840 руб. Ultra High Performance 225 / 55 R17 4696 руб. Ultra High Performance 225 / 55 R17 101 W 4987 руб. Москва ВилсПлюс +7 (495) 661-4651 4910 руб. — купить скидки! Ultra High Performance 225 / 55 R17 101 W +	5050 руб. Ultra High Performance 235 / 45 R17 4519 руб. Ultra High Performance 235 / 45 R17 94 W 4792 руб. Москва ВилсПлюс +7 (495) 661-4651 4707 руб. — купить скидки! Ultra High Performance 235 / 55 R17 5070 руб. Ultra High Performance 235 / 55 R17 103 W 5452 руб. Ultra High Performance 235 / 55 R17 103 W +	5630 руб. Ultra High Performance 245 / 40 R17 95 W 5340 руб. Ultra High Performance 245 / 40 R17 95 W +	5560 руб. Ultra High Performance 245 / 45 R17 4709 руб. Ultra High Performance 245 / 45 R17 99 W 4916 руб. Ultra High Performance 245 / 45 R17 99 W +	4957 руб. Ultra High Performance 215 / 55 R18 4368 руб. Ultra High Performance 215 / 55 R18 99 V 4618 руб. Ultra High Performance 215 / 55 R18 99 V +	4653 руб. Ultra High Performance 225 / 40 R18 4309 руб. Ultra High Performance 225 / 40 R18 92 Y 4429 руб. Ultra High Performance 225 / 40 R18 92 Y +	4497 руб. Ultra High Performance 225 / 45 R18 4276 руб. Ultra High Performance 225 / 45 R18 95 W 4401 руб. Ultra High Performance 225 / 45 R18 95 W +	4220 руб. Ultra High Performance 235 / 40 R18 4647 руб. Ultra High Performance 235 / 40 R18 95 Y 4813 руб. Ultra High Performance 235 / 40 R18 95 Y +	4903 руб. Ultra High Performance 235 / 45 R18 4745 руб. Ultra High Performance 235 / 45 R18 98 W 5086 руб. Ultra High Performance 235 / 55 R18 5490 руб. Ultra High Performance 235 / 55 R18 100 V 5807 руб. Ultra High Performance 245 / 35 R18 92 Y 5437 руб. Ultra High Performance 245 / 40 R18 4959 руб. Ultra High Performance 245 / 40 R18 97 Y 5187 руб. Москва ВилсПлюс +7 (495) 661-4651 5106 руб. — купить скидки! Ultra High Performance 245 / 40 R18 97 Y +	5247 руб. Ultra High Performance 245 / 45 R18 5021 руб. Ultra High Performance 245 / 45 R18 100 W 5244 руб. Ultra High Performance 245 / 45 R18 100 W +	5030 руб. Ultra High Performance 255 / 35 R18 94 W 5396 руб. Ultra High Performance 255 / 45 R18 5444 руб. Ultra High Performance 255 / 45 R18 103 Y 5859 руб. Ultra High Performance 255 / 45 R18 103 Y +	6080 руб. Ultra High Performance 235 / 35 R19 91 Y 5830 руб. Ultra High Performance 235 / 35 R19 91 Y +	5194 руб. Ultra High Performance 235 / 40 R19 96 Y 7348 руб. Ultra High Performance 235 / 40 R19 96 Y +	6843 руб. Ultra High Performance 245 / 40 R19 98 Y 5885 руб. Ultra High Performance 245 / 40 R19 98 Y +	5790 руб. Ultra High Performance 255 / 35 R19 96 Y 6342 руб. Москва ВилсПлюс +7 (495) 661-4651 5561 руб. — купить скидки! Ultra High Performance 255 / 40 R19 100 Y 6128 руб. Ultra High Performance 165 / 65 R15 81H ВилсПлюс +7 (495) 661-4651 2 731 руб. купить скидки!